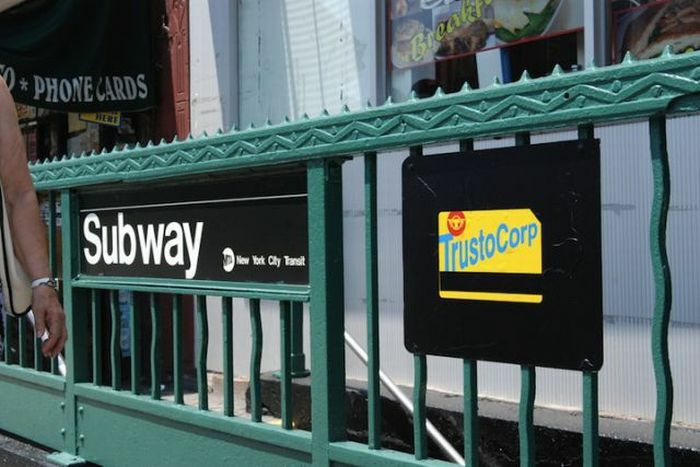 Trustocorp is a movement created by New York Based artist dedicated to highlight the sarcasm in human behavior. 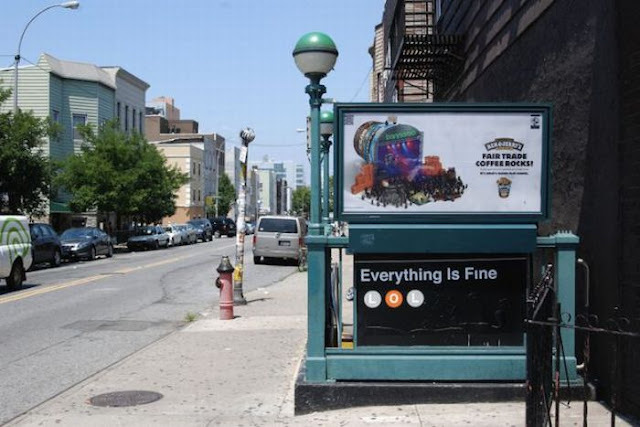 What they basically do is alter governmental street signs (by adjusting existing signs or placing their own replacing the original sign) to send messages of hope and/or mayhem. 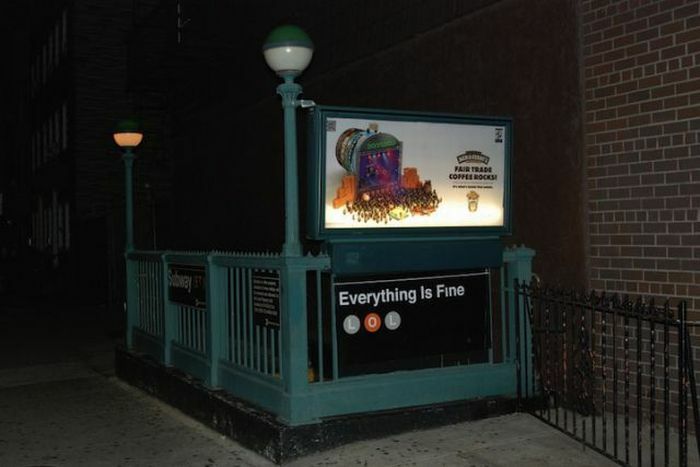 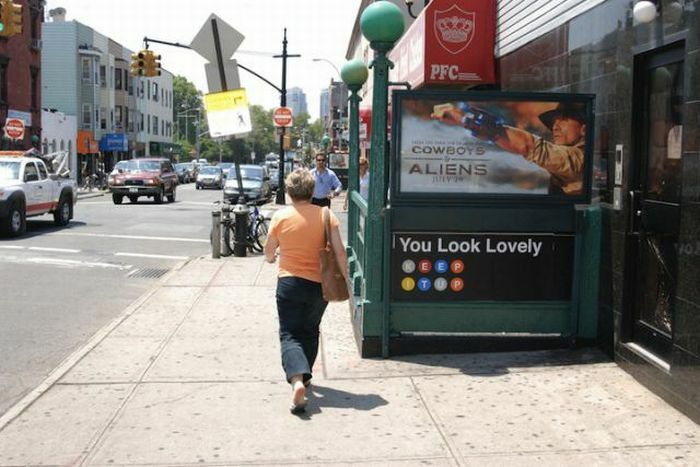 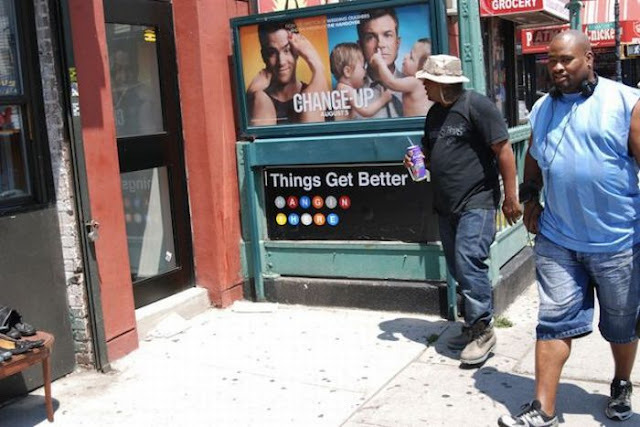 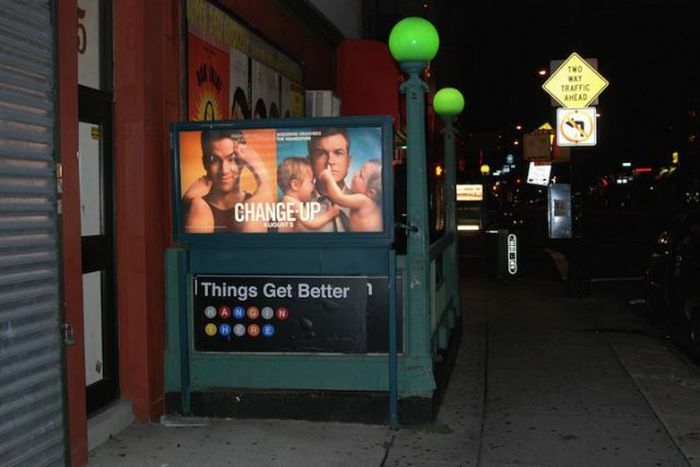 In their latest work they replaced the New York Subway signs with 'Feel Good' signs. 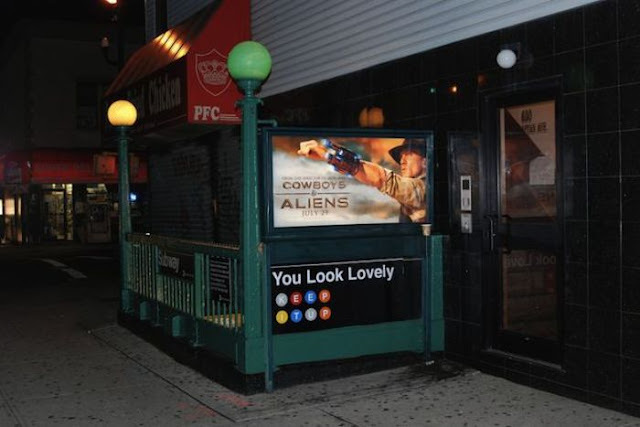 To see their Photostream on flickr click here. For more awesome street art, click here!